Bakersfield is known as “California’ Country Music Capital” and is home to over 300,000 people. 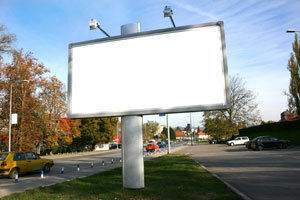 Bakersfield is home to several colleges which allow local advertisers to use out-of-home advertisements at relatively cheap billboard rates. Notable universities that offer effective advertising opportunities are California State University, Bakersfield, and Bakersfield College. There are also six movie theaters within the city making digital signage ads and theater advertising another possibility. The highways servicing Bakersfield can also be utilized with billboards on State Route 99, State Route 58, or I-5. Zip Codes: 93301, 93302, 93303, 93304, 93305, 93306, 93307, 93308, 93309, 93311, 93312, 93313, 93380, 93381, 93382, 93383, 93384, 93385, 93386, 93387, 93388, 93389, 93390.